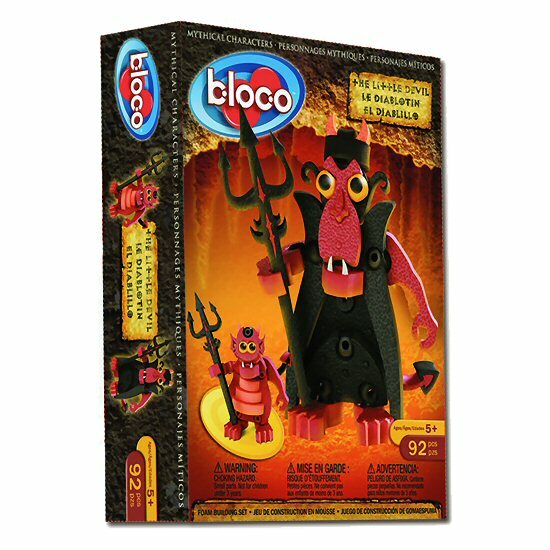 With this amazing Little Devil Bloco foam building set you can follow the instructions to create 4 detailed devils or let your creativity take over and create devils based on your own imagination! 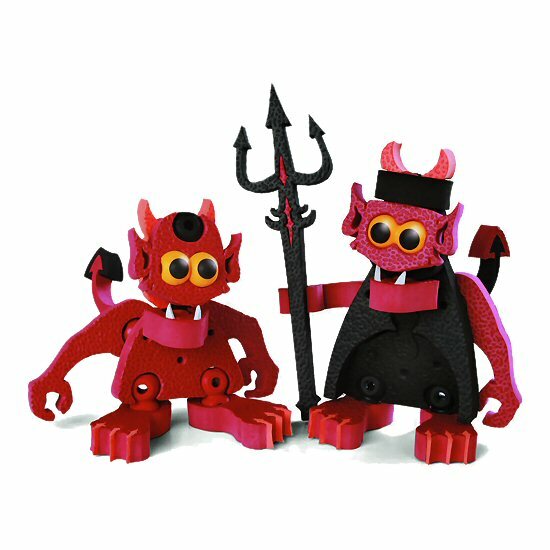 And once you've constructed them, these Bloco devils are durable enough for imaginative play and adventure. Maybe it's trick or treat time in your imagination or your little Bloco devils are off to a costume party. The ability to take the devils apart and start again provides hours of creative construction and play. 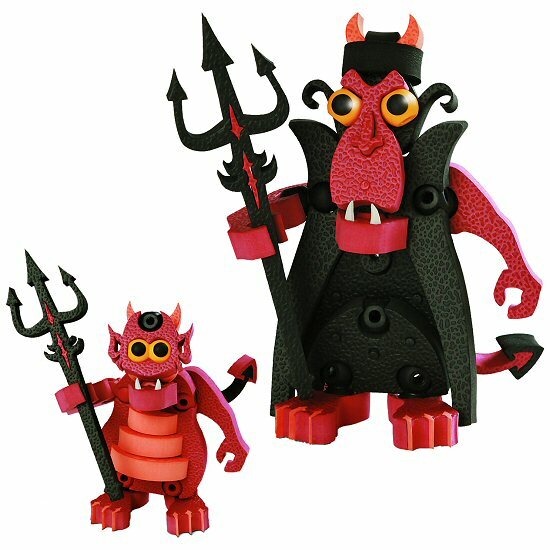 This Bloco set lets you use different pieces so you can have a devilishly fun time building your favorite funny devil: red or black, tiny or big, cute or scary, simply as you wish! Note: The 4 models shown cannot be made simultaneously. This Little Devil construction set can be combined with other Bloco foam building sets to create even more interesting creatures. The Centaur Bloco foam building set lets you build your own fun creations: bald headed and pointy eared, shaggy haired or helmeted, you decide how it looks.